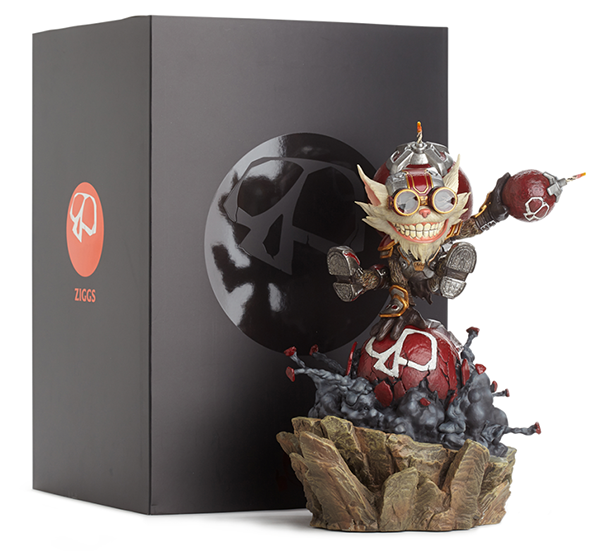 The Ziggs Statue is the first high-end collectible product in the Riot Games Merchandise store and the packaging needed to reflect that. 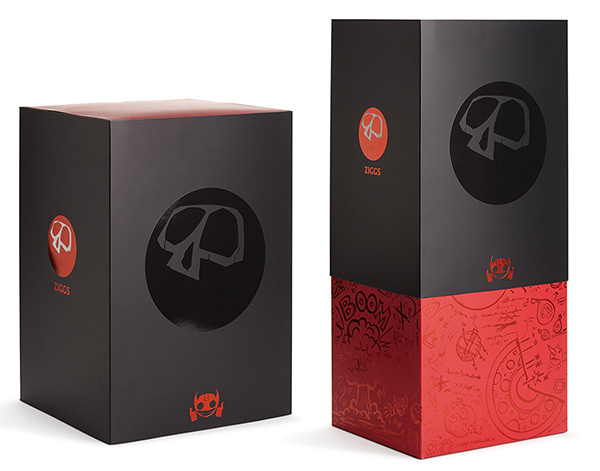 Heavily inspired by the Ziggs schematic illustration (by Riot Artist Justin Albers), the packaging reflects the quality and sophistication of a top-tier product, while still revealing something a little more manic under the hood. 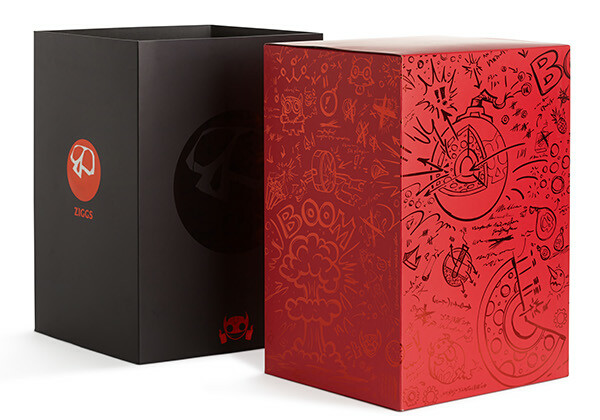 The champion, Ziggs, has an explosive personality, so the goal became to combine a luxury-esque sleeve with a serious pop of color and energy on the main box. Clear spot varnish and red metallic ink on the outer matte sleeve, spot metallic red ink on red matte box for the main container. 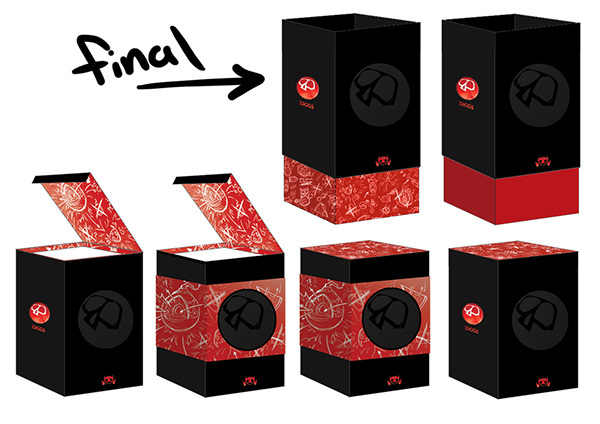 The interior of the red box is glossy black with the League of Legends logo in red metallic ink. This was an interesting challenge for the printer, who has not ever created a box with such a complicated foil design, covering all but one of the side seams. Above: final sketch concepts for the placement and utilization of the Ziggs Schematic Pattern. The partial sleeve ideas were fun, but considerably more likely to get damaged in transit. Above: the full, unrapped design on the main red box. Packaging Design and vector scribble repeats for Riot Games' higher-tier Ziggs Statue, based in the League of Legends IP.